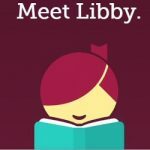 Recently I became aware of another free movie/TV streaming service called Terrarium TV. I happened to be browsing around in an online forum reading about the problems Kodi folks were having when I came across one comment that was a game changer. The comment was from a person who had used Kodi and switched to Terrarium TV. This person had been using Terrarium TV for 3 years without encountering the various problems Kodi users have. Naturally, I had to go and find out more about this program. Terrarium TV, like Kodi, is an app that allows users to access streaming services. It only streams movies and TV programs. It does not stream live sporting events, nor does it promise to do so. Kodi, on the other hand, does offer the hope of viewing live events. However, in practice, I’ve not been successful in actually maintaining a live stream. The streams freeze much too frequently for live sports. Just like Kodi, it’s a downloadable program. Visit Terrarium TV to download the appropriate file. 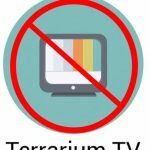 According to the website, Terrarium TV is available for “Android, iOS, Windows PC/Laptop, Fire TV or Firestick, Android Box, and many other devices…” At a later date I’ll try installing it on a computer or iPhone. For now, I downloaded and installed it on my Amazon Fire Stick. The beauty of downloading and installing Terrarium TV is the file size. 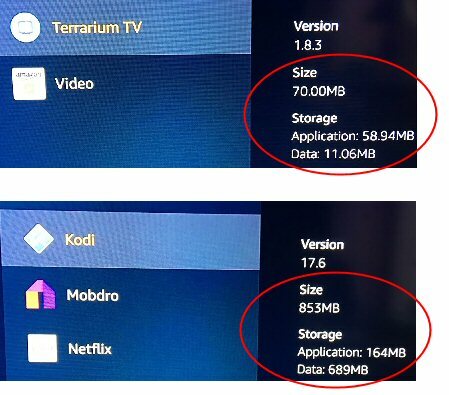 Kodi’s robust app with all of its features makes the file size huge compared to Terrarium. A smaller file means much less space wasted on the Amazon Fire TV Stick. In addition to the small file size, Terrarium TV does not use add-ons. This means you won’t have to constantly update the various add-ons as you have to with Kodi. You also don’t have to worry about obsolete add-ons either. Terrarium TV’s home screen is basic but efficient. The no-frills arrangement the TV/movie thumbnails lets you know immediately what you’ll see by clicking the image. If you don’t see an image/thumbnail for something you want to watch, just use the Search option that’s right at the top of the Home screen. No need to search for movies under one screen and TV programs under another. 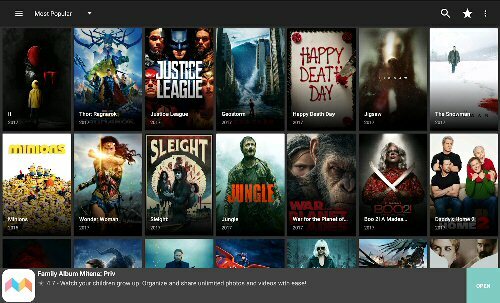 Just enter the title you want to see and Terrarium will display both TV and movie titles that meet your criteria. How easy is that? Everything is right there. Kodi, on the other hand, has a plethora of options. There are several channels (for lack of a better word). There’s the Movie channel, Kids channel, Sports channel and about 5 other channels, each with its own search feature. I guess Kodi attempts to segment the streams to make it easier for the viewers, but for me, it just adds another level of complication. The “channels” in Terrarium TV consist of a dropdown menu. It’s of a long list of category/genre options. Once you’ve selected the category/genre, you can then click the filter icon (looks like an upside down triangle lines) to filter your selection by year (easy, peasy). BTW, you’re not limited to only searching by movie/show titles. You can search by actor too. My grandson likes watching the same movies over and over again. As a result, I’ve saved movies like Minions, Storks, Toy Story and TV series such as PJ Masks to my Favorites. With Terrarium TV saving favorites is a simple as selecting a movie/program and clicking the star icon at the top of the screen. To see the Favorites collection, just click the star and voila! There they are. Selecting favorites with Kodi isn’t quite as easy. 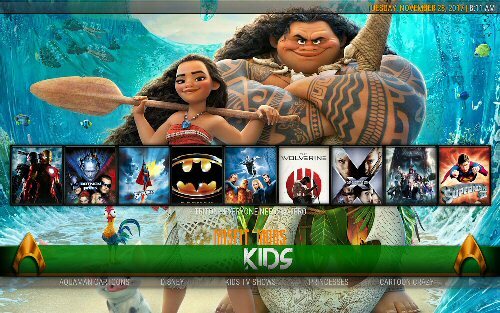 Not only do the movies play better with Terrarium TV, but finding streams is much quicker than it is with Kodi. 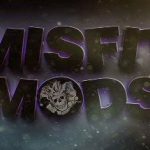 Check out this YouTube Kodi vs. Terrarium TV comparison video made by DownloadingPirate. Which app do you think is the winner? For weeks my daughter has been trying to watch Game of Thrones. With Kodi she was constantly being shown the same episode no matter which episode she chose. She learned early on that rebooting the Amazon Fire Stick cures a lot of ails so that’s what she did. After rebooting the Fire Stick Kodi got the episodes right, but unfortunately, the show would hang and freeze. She became all too familiar with the little round circle spinning around and around. Terrarium TV to the rescue. After installing Terrarium she was able to binge watch Game of Thrones. I knew it was working correctly when I heard the gasps and shrieks when Jaime Lannister was presented with his “hand necklace.” You can imagine her response to the Red Wedding. 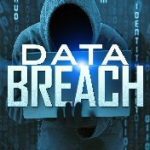 Left unchecked a growing cache could cause other programs on the Fire Stick to act wonky. Fortunately, clearing Terrarium’s cache is easy. To do so click on the Settings option from the Terrarium TV Home screen. Then scroll all the way down the long page to the bottom. Clear cache is the 6th option from the bottom of the page (at least it is in version 1.8.3). Click Clear cache and you’re done. FYI just in case you’re looking for the size of your cache files: I discovered the cache file sizes of the two programs when I visited the Settings screen on the Fire Stick. 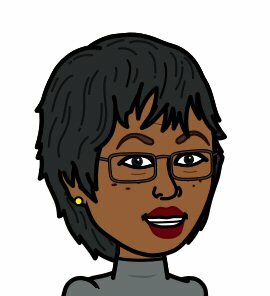 From there I went to Applications and chose Manage Installed Applications . By selecting an app, you’ll see the pertinent file size information. There are other options on the Terrarium TV Settings page you might want to check. For instance, I receive notifications of new movies and/or TV episodes from Terrarium. I don’t want to receive such notifications (I don’t really watch that much TV). The Settings page is where you change that. Also, Terrarium TV (and other online streaming media apps) are linked to Trakt.tv. I’m not familiar with Trakt.tv and don’t know enough about them to Auto send watched history. I opted out of the Trakt.tv beta feature, until I learn more about it. One more difference between Kodi and Terrarium TV is Terrarium TV has ads. They’re not particularly intrusive, but be on the lookout for them. On non-streaming screens, they’re located along the bottom of the page. Make sure to always know the position of the mouse pointer before you depress it to make a selection. Sometimes the mouse location defaults to the ad at the bottom of the page so be careful. Full page ads sometimes appear after a movie/TV show plays. It doesn’t happen all the time but it does happen. Not a major drawback considering all of Terrarium TV’s improvements over Kodi, but it is something to be aware of. All in all, this Low Tech Grandma likes Terrarium TV and will continue to use it instead of Kodi. 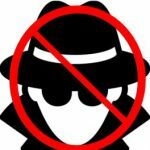 Some Grandmotherly Advice: Always remember, whether you use Kodi or Terrarium TV (or any other streaming service for that matter), always use a VPN (virtual private network). My VPN of choice is IPVanish. Update 12/1/17: I came across a video on how to install the commercial-free version of Terrarium TV. Check it out. The instructions are clear and straightforward. 1/16/18 Update: The ad-free version of Terrarium TV version 1.9.1 was released on 1/14/18. It is recommended that you uninstall the older version of Terrarium before installing version 1.9.1. Hi, I love Terrarium. I am however coming across a problem when viewing certain episodes that require captcha verification. Even after I’ve verified it I’m still not able to get any links at all. Do you have a solution for this problem? I only really use Terrarium on my Amazon Fire Stick. Whenever I see the captcha verification notification at the bottom of my screen, I ignore it and then select a streaming provider. I’ve never had a problem viewing episodes. Hi Felicia, Maybe you can help me with this. Before I update to new version of Terrrarium, I backup my settings and favorites. When I try to restore them after I update, it always says update failed. Any idea why this happens and more importantly, any ideas for a way to fix this so I don’t have to keep on saving favorites each time I erase old version and update to new version. Thanks! That’s pretty interesting, Naomi. What device are you updating? 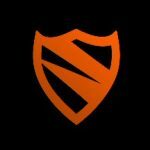 Is it a Fire Stick or is it a tablet or phone? I don’t know the answer off hand, but I’m willing to do a little testing to see if I run into the same problem. OK. I’ll do some experimenting. No promises. I’ve got to uninstall the current version and reinstall the old version. I’ll save some favorites and try updating to see if I can bring my favorites forward. I’ll report my observations. Wish me luck! Added a few favorites (she had none). Went to settings and individually backed up Settings, Favorites and Watched list. I didn’t select the “auto backup” option. Went to Settings and individually restored Settings, Favorites and Watched list. I hope this helps. Maybe you’re missing a step in your update process? Thanks so much! Will try that and turn off auto update. Will update after I do it. Nice article, but I was not convinced I love my Kodi. Documentaries, movies, TV shows. I do not like ads and having to watch out for them is annoying. On Kodi you can speed up or down the subtitles no problem. Sorry if I misspelled anything. It was a nice article though. FYI, The latest ad-free version 1.9.1 of Terrarium TV was released on January 14, 2018. If you’re using the Fire TV Stick you can get the Terrarium update by going through APK Time. Hi! Your video to install the ad free version of terrarium tv was super helpful! So happy to have it on my amazon fire stick. I understand there has been an update to terrarium tv (1.9.1). How do i update since you said the ad free version doesn’t update automatically. Thanks so much! That’s a good question. It appears the ad-free version of Terrariumtv hasn’t been updated, but the ad version is now updated to 1.9.0. They recommend deleting the old version of Terrarium and installing the new version. What I did was, I deleted Terrarium from the Fire Stick, then followed the directions in the video using APKTime. 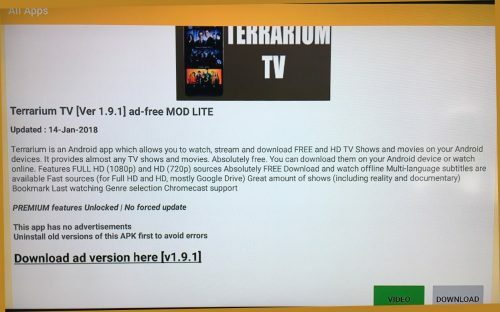 When you navigate to the Terrariumtv APK in APKTime, you’ll see there are two options; you could install the ad-free version 1.8.6 or the updated version 1.9.0 that contains ads. I’ll have to do a little more research to see if the ad-free version has been updated, but so far I haven’t found it. Hey Nelson, Thanks for reading my ramblings. You’re right about the subtitles. We attempted to watch one movie with subtitles, but the synchronization was way off. The movie intro had barely begun and subtitles were appearing. We knew we would only get frustrated if we continued watching so we didn’t. Who knows, maybe we’ll figure out the trick to getting things to synchronize, or maybe they’ll fix it in an update (if it’s fixable. ).